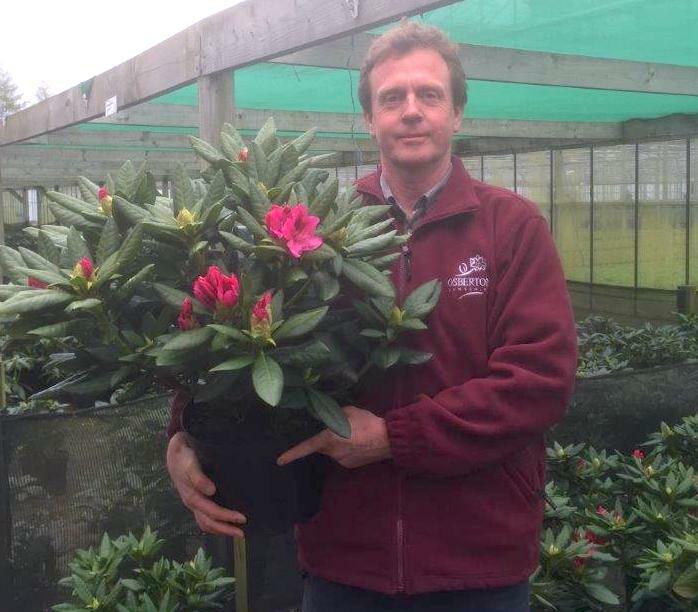 If you are looking for your perfect first Rhododendron this is it. 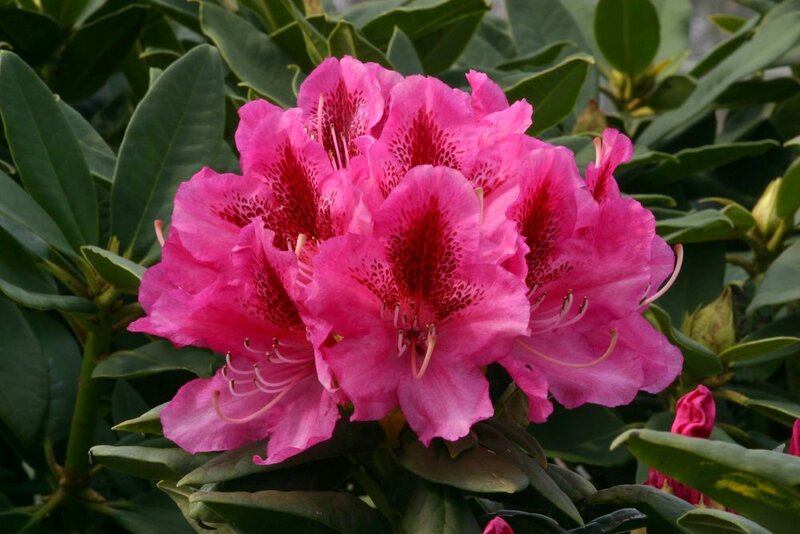 Good tempered, reliable, easy to grow, free flowering - a really excellent all-rounder. The lovely pink buds open to white with a pretty yellow spotted centre with a slight pink blush. Great either directly in the garden or in pots. This rhododendron has a wonderful big mushroom shape with wonderful large leaves. It is so dense that it makes extremely effective ground cover, squeezing out the weeds. A really lovely flower of bright red, a classic rhododendron shape just as you would expect it. If you want a long flowering show in your garden you need to include these and then move onto some mid term flowering and then some later flowering to give you a succession of colour right through late April, May and right up towards the end of June. Watch out for my tips on late flowering hybrids.